Today we are happy to announce that Kevin Young, senior social editor at Bloomberg, will be joining our expert line-up on the day as part of the afternoon workshop on making the most of newsroom experiments. Kevin has been a senior social editor for Bloomberg in London since 2015, managing its Twitter, Facebook and Instagram output to build audiences and engagement both in EMEA and globally. Previously, he spent 15 years at BBC News as a radio broadcaster, an online journalist and latterly a social media specialist on @BBCBreaking and other high-profile accounts. At newsrewired, Kevin will be sharing insights into how Bloomberg has launched and grown accounts such as @Brexit on Twitter and @bloombergbusiness on Instagram, how Instagram Stories have become an integral part of the organisation’s social strategy, and how they have developed newsletters to share their in-depth knowledge of specialist subjects. In this practical session, he will be joining Bo Franklin, social media writer at The Economist, who will talk about The Economist’s strategy for adapting podcasts for social media, and from the title’s approach to resurfacing archive content. “Most successful organisations fail to look for new things their customers want because they’re afraid to hurt their core businesses,” Reed Hastings, chief executive of Netflix, once said. Disrupting your business may be the only way to ward off the threat of extinction. As a seasoned pioneer and trusted partner, Reuters has followed their clients’ journeys of transformation, reallocating resources from old models to the new, and developing new economic engines. 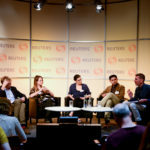 In a spotlight talk at newsrewired on 22 November, Nick Cohen, director of video products at Reuters, will present the popular ways the organisation has seen them experiment to meet emerging realities. Prior to joining Reuters, Nick built up nearly 20 years of experience in the news and entertainment industries as an award-winning digital producer, commissioner and product development specialist. 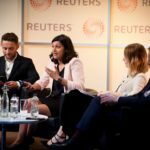 The next newsrewired takes place on 22 November 2017 at Reuters in Canary Wharf, London, followed by a day of hands-on training on 23 November. Tickets are selling out fast. We currently have only 4 tickets left for the conference on 22 November, and 12 for both 22 and 23 November. With newsrewired (22 November, London) fast approaching, the Journalism.co.uk team is pleased to announce our keynote speaker for our 20th event is Peter Bale, launch editor at WikiTribune. WikiTribune is the evidence-based news initiative from Wikipedia founder Jimmy Wales, where journalism is reimagined with community members and journalists on equal footing. Bale has been tasked with creating a journalistic team and process to work alongside a global community. Bale has a history of international journalism projects. He is the former chief executive officer of the Center for Public Integrity, an investigative journalism non-profit in Washington D.C, which then incorporated the International Consortium of Investigative Journalists, best known for the Panama Papers project. He has also worked at CNN International, MSN, Reuters and The Times and Sunday Times. In his keynote, Bale will highlight the progress his team has made so far, and explain how journalism at WikiTribune will work in practice. Last week we announced the agenda for our next newsrewired event, which is taking place on 22-23 November at Reuters, in Canary Wharf, London. Through a mix of panel discussions, workshops and spotlight talks, delegates will have the chance to explore topics such as editorial collaboration, storytelling for mobile and open-source tools for newsrooms, and bring back practical learnings to their organisations. Today, Journalism.co.uk is happy to announce four more speakers who will be joining us on the day, from outlets including Quartz, The Economist, and Swedish Radio. Tickets for newsrewired on 22 November are still available, and cost £180+VAT. 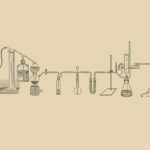 Other sessions at the event include workshops on open-source tools for newsrooms and graphic novel journalism, as well as a spotlight talk about the print and digital strategy of Monocle magazine. Check out the agenda and who else will be speaking, and keep your eyes peeled for our keynote announcement soon! How can you better create stories for mobile audiences? 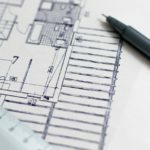 When would collaborations benefit your organisation, and how can you build a workflow suitable for you and your partners? 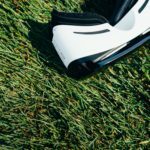 How are media organisations using virtual reality and should you invest in it too? Can graphic novels be used in journalism? Find out the answer to these questions and many more at our next newsrewired digital journalism event on 22 – 23 November at Reuters in London. Journalism.co.uk is pleased to announce the agenda for the day. We are still working on confirming a few sessions and speakers, so some things may change slightly before 22 November, but register now to avoid missing out on tickets as places are going fast. 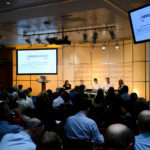 As we get closer to the next newsrewired event, which takes place on 22 November at Reuters in London, Journalism.co.uk is pleased to announce two more sessions from the agenda and additional speakers joining us on the day. 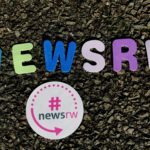 The event next month will be our 20th newsrewired, and, as always, we will be focusing on practical learning through a mix of panels, workshops and spotlight talks. Tickets for newsrewired are available for £180+VAT. Topics we will be discussing at the event include: storytelling for mobile audiences, collaboration in the newsroom, and graphic novel journalism, with experts from BuzzFeed, Wall Street Journal, Pop-Up Newsroom and more. Stay tuned for more speaker announcements over the coming weeks!